Input text: A black church. Night backdrop. A huge devil is -7 feet left of and in front of the church. he is facing east. 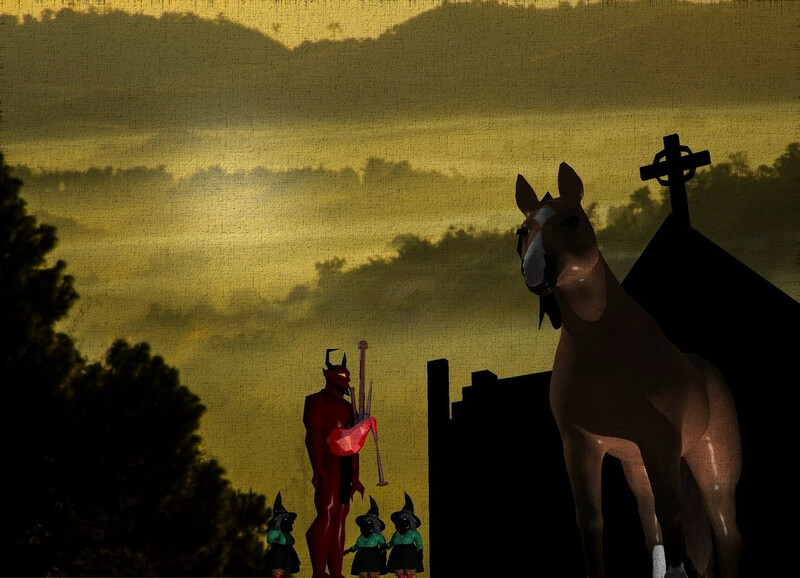 A huge horse is 30 feet right of and in front of and -30 feet above the devil. A large black witch is behind and right of the devil. A large black witch is left of the witch. A large black witch is 2 feet left of the devil. she is facing east. huge shiny bagpipes are -15 feet above and -4 feet right of the devil. Camera light is black. A light is right of the horse.